As mentioned in my mid-July display post, there's a new Nicole by OPI collection called Tink, themed around Tinkerbell, the mischievous pixie from Peter Pan. I didn't know at that point that it was a Walgreens exclusive; thanks to Micki from Lacquer Nirvana for letting me know that in the comments to the display entry. The collection has six colors, five cremes and one glitter topper. The company sent four of the cremes for review; I felt a little bummed about that though it did make me feel better when I saw other bloggers got just the same four as well. Since I prefer to swatch full collections when I can, I went ahead and bought the two missing colors when I saw them in stores. Actually, I got the glitter topper first, before I knew I'd be getting any bottles for review, then picked up the last creme after I got the samples of the other ones. Here's the full lineup: Tink's in the Pink (hot pink), How Fairy Nice of You (pastel pink), Fairy Fairy Quite Contrary (orange), Half-Charming Half-Alarming, Pixie Glitter, Sweet on Pete (lime). The two bumped out in front of the others (How Fairy Nice of You and Pixie Glitter) are the ones I bought; the others are review samples. 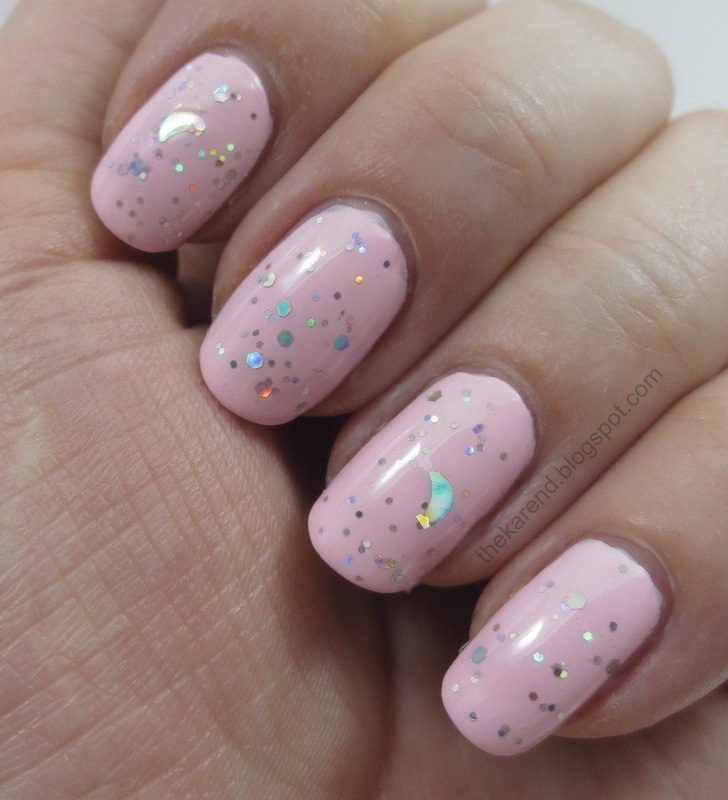 If you saw yesterday's comparison post, you already saw How Fairy Nice of You on one nail. Here it is on a whole hand, at three coats, no topcoat. A pastel pink creme on its own is quieter than I generally prefer for my nails at this stage in my life, but fortunately this collection has Pixie Glitter, a mix of silver holographic hex glitter in two sizes plus crescent moons. I put two coats of Pixie Glitter plus topcoat over How Fairy Nice of You. The hex glitter was happy to come out of the bottle and onto my nails; the crescent moons took a bit more coaxing. For the sake of completness, here's a repeat of yesterday's comparison picture—left to right below: Essie No Baggage Please, Nicole by OPI How Fairy Nice of You, Sally Hansen Xtreme Wear Berry Juicy. The other pink in the collection is Tink's in the Pink. I used three coats of this one and did an accent nail with Pixie Glitter. For comparison, I grabbed Sally Hansen Xtreme Wear Razz-berry from the recent fruit-themed display and Essie Off the Shoulder from Summer 2012. Left to right below (all three coats): Razz-berry, Tink's in the Pink, and Off the Shoulder. The Sally Hansen is a touch more cool toned than the NOPI and the Essie leans warmer. 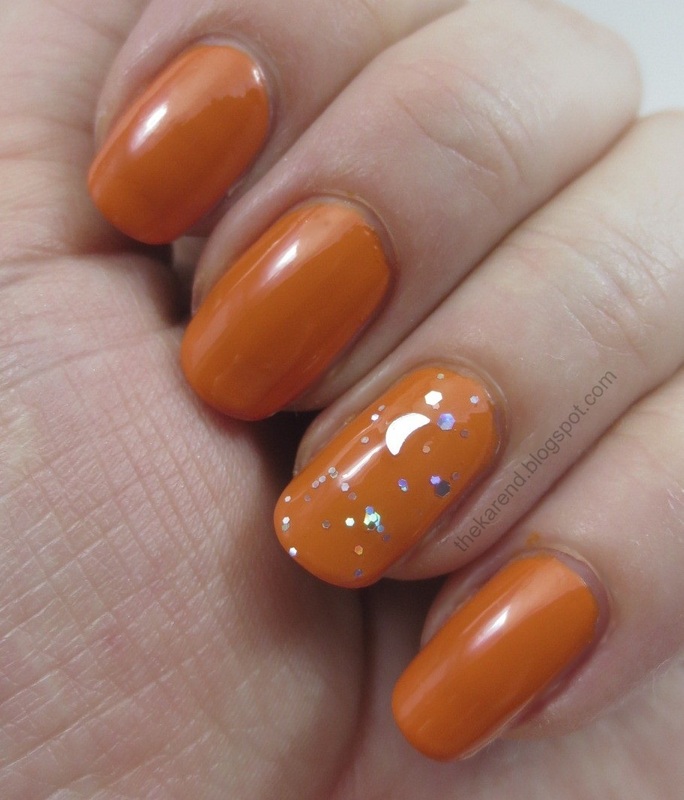 I continued the Pixie Glitter accent nail approach with Fairy Fairy Quite Contrary, the orange creme. Swatch is three coats of Fairy Fairy, no topcoat. My stash is a little light on orange cremes, so I had resort to some older colors for comparison. I had a mini OPI with the code NLB88 on the bottom, which Google tells me is In My Back Pocket from the summer 2009 Bright Pair collection, except Google also tells me that the Bright Pair mini set didn't include the orange and even if it had, I wasn't paying any attention to OPI in 009, so I suspect In My Back Pocket was re-released with a different name in one of the Halloween mini sets, which I have bought several of in recent years. My best guess is this is He's My Boo from 2011, but I don't have any hard evidence. I didn't have to guess about the other polish; it's Essence Colour & Go Get the Fever from before they changed the bottle style to the more barbell shaped one. Left to right below: OPI, NOPI, Essence. Fairy Fairy Quite Contrary is a touch more yellow than either of the other two, though it's closer to the OPI than the Essence. 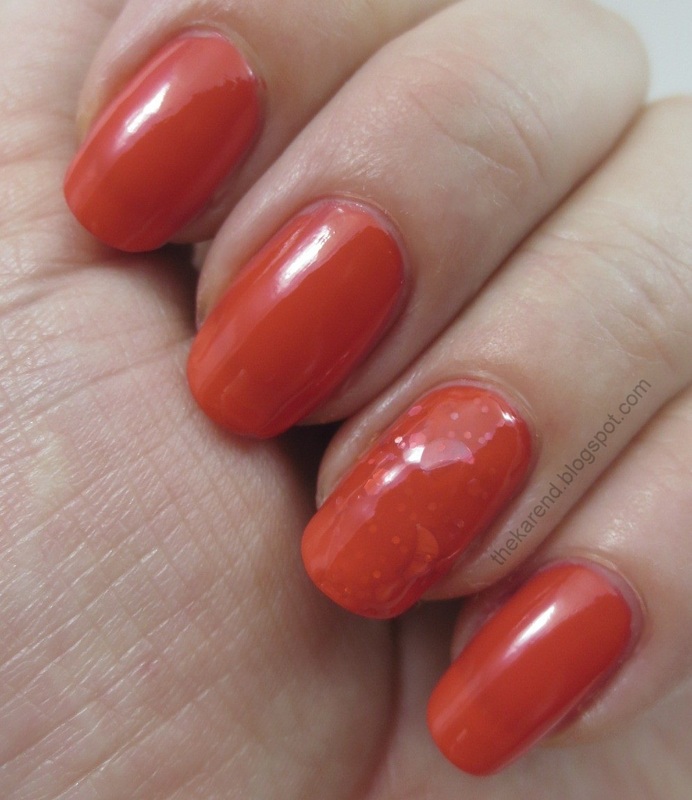 Half-Charming Half-Alarming, the red orange, seemed more sheer than the other cremes, so I tried a jelly sandwich on the accent nail. It's not quite sheer enough for that (or Pixie Glitter is not quite dark and contrasty enough). 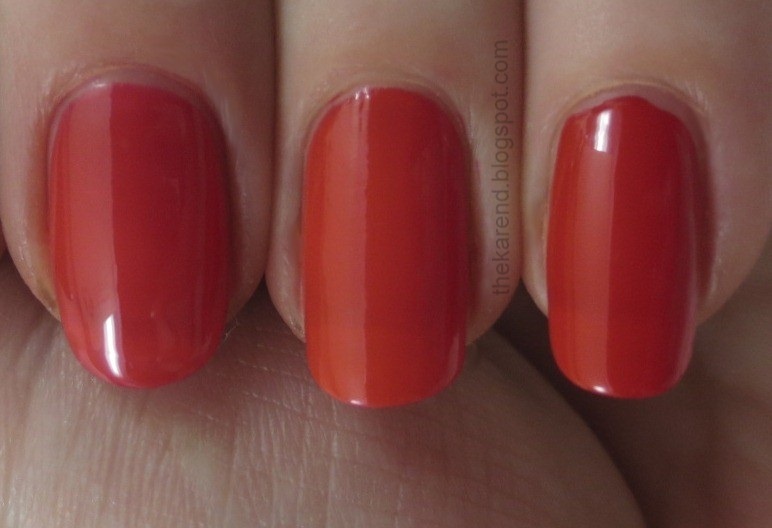 I used three coats for the swatch and you can see a hint of visible nail line. Since Half-Charming was on the crelly side, I knew I wanted to pull one of the OPI Texas collection sorbets for comparison. I settled on Big Hair Big Nails. I also grabbed Deborah Lippman Footloose, which I had forgotten I bought (definite sign I need to rein myself in at least a little). Left to right below: OPI, NOPI, Lippmann. Big Hair Big Nails is more red than Half-Charming. Footloose is pretty darn close in color, though perhaps a bit more opaque. So I guess in this case, the NOPI is a good option if you wanted the Lippmann and missed it when it was on HSN's site. I saw the Lippmann going for $24 on ebay, whereas the NOPI is around $8 at Walgreens. 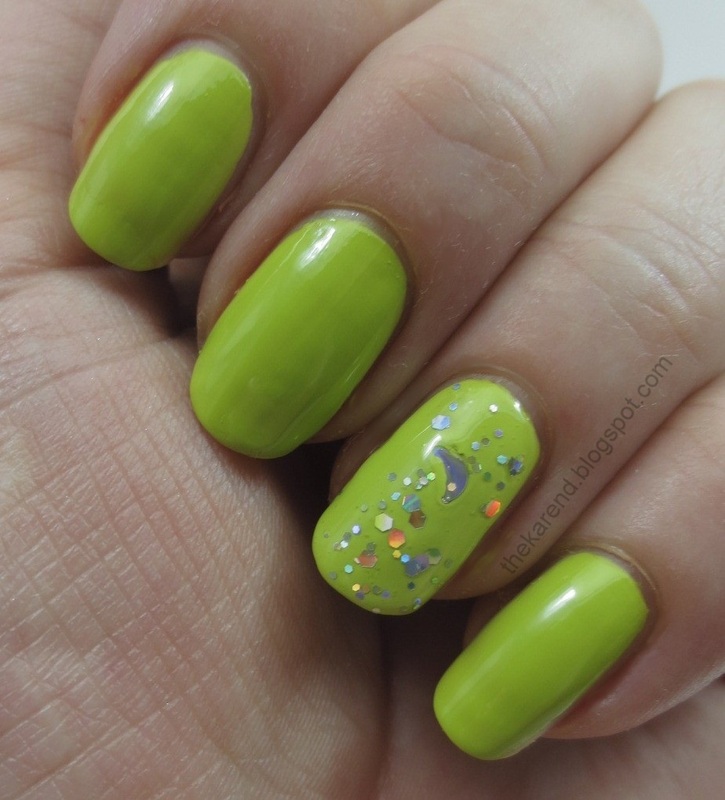 Sweet on Pete, the lime green, got the Pixie Glitter accent treatment, too. I used three coats of it, no topcoat, for the swatch. 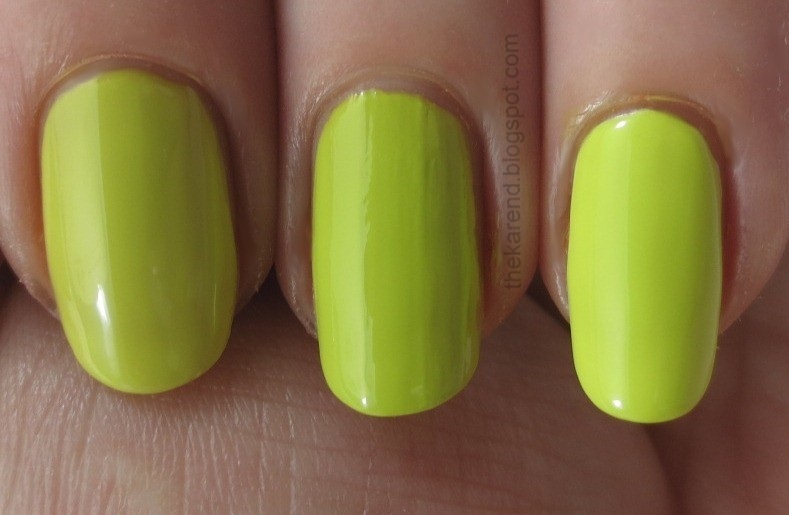 For comparison with Sweet on Pete, I grabbed China Glaze Electric Pineapple from 2011 and Milani Totally 80s from the core collection (well, at some stores which still carry the Neon line). 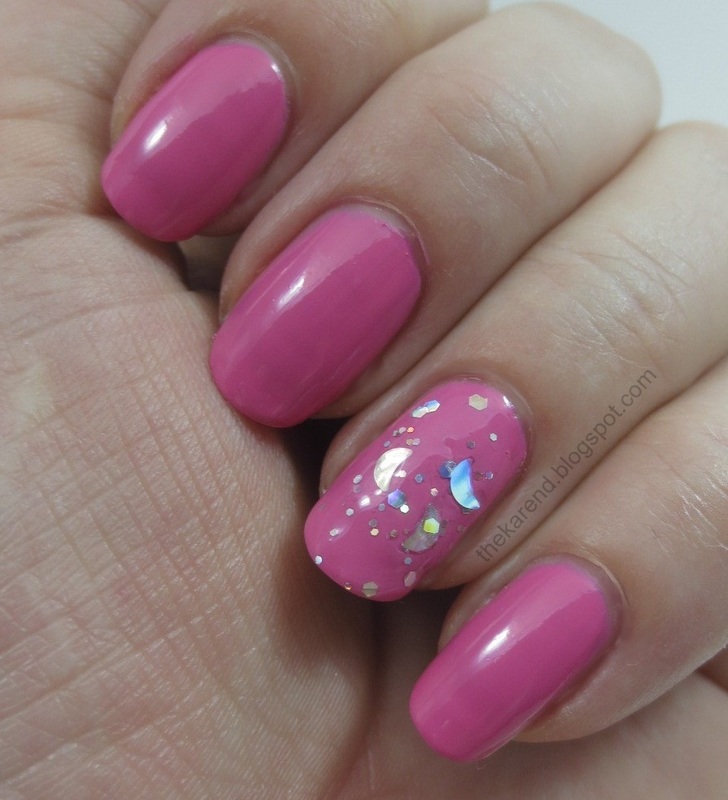 I wanted to use OPI Did It On 'Em from 2012's Nicki Minaj collection, but couldn't find it. I was convinced I'd just misplaced it in one of my rounds of stash reorganization, but finally consulted my spreadsheet and found I don't own Did It On 'Em. Well, that solves that. It seems strange, but I must have decided to skip it because I don't wear acid green very often and already had several others by that time. Left to right below: China Glaze, NOPI, Milani (over white). Sweet on Pete is a touch more green than the other two, but you can see it holds its own in brightness. Sweet on Pete and Pixie Glitter are the two most Tinkerbell-esque shades in this collection. The others are more garden themed, and I suppose Tink does flit about in nature (and pink polishes sell well) so I get why they went that way. If I were doing a Tinkberbell collection, I'd do the lime and the glitter and add a shimmery glass flecked white (for her wings and the puffs on her shoes) and a golden yellow (for her hair). 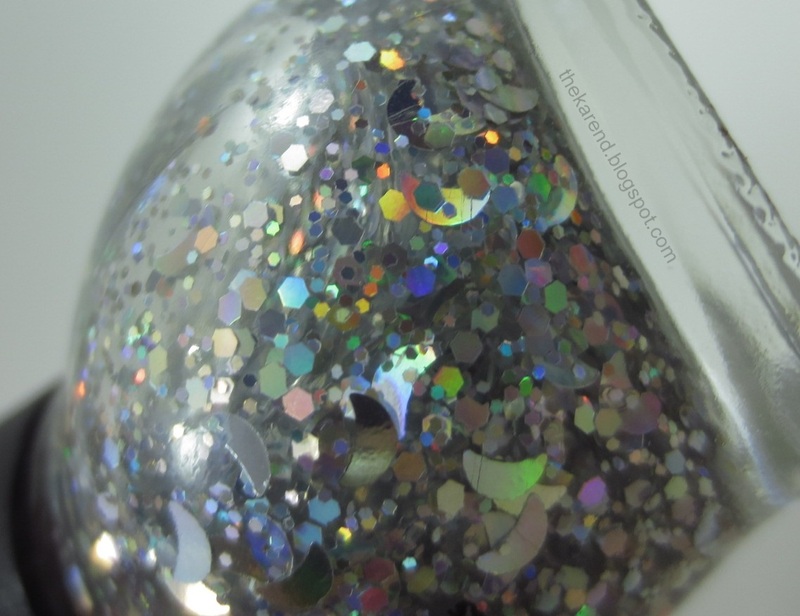 And maybe a micro holo glitter topcoat for pixie dust. Four of the six Nicole by OPI polishes shown in this entry were provided free for review purposes. The content of the entry was not dictated by the provider. Thanks for the shout out! I have 3 or 4 of these that I was going to wear but I forgot where I put them. I need to find them because I like them on you. The sweet on Pete is my favorite with the glitter top coat. I cant believe they didn't send the unique top coat for review!!! I kept seeing this display at Walgreens and wondering why they have one random Nicole by OPI display. I really like the green but I bet I have some in my stash that are pretty much the same color. *yikes* I almost got that glitter, but if that's two coats I'm kinda glad I didn't. Awesome swatches! I like the colors but for some reason i don't like the bottles.